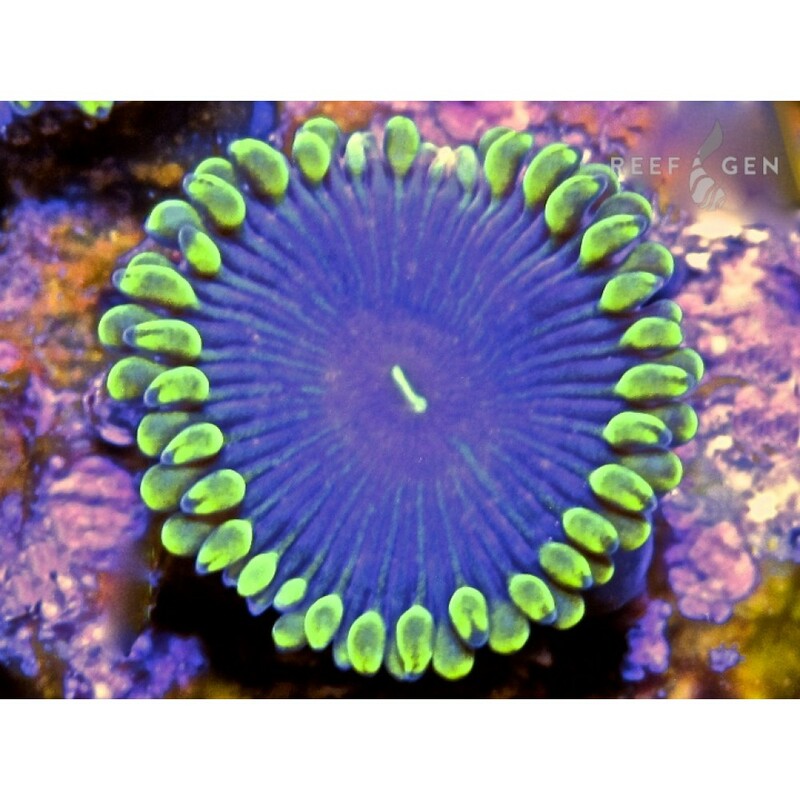 Similar to the original lineage of PPE’s, this palythoa shares everything awesome about the “People Eater” morphs except the trademark "People Eater" green mouth! 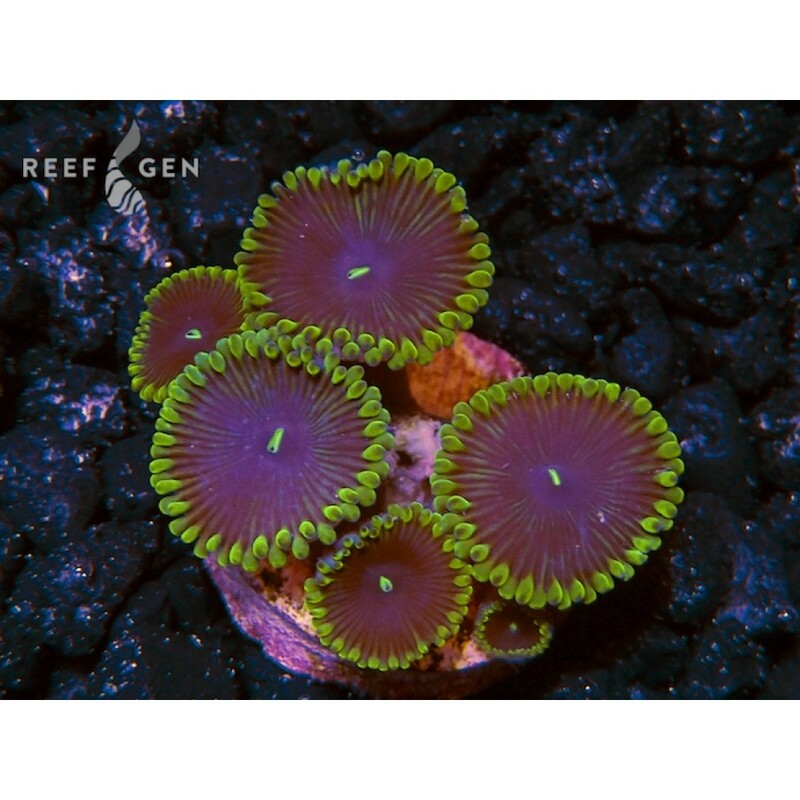 This was Laura's favorite Paly back when she had a reef shop, and back then it sold for $75 per polyp!! 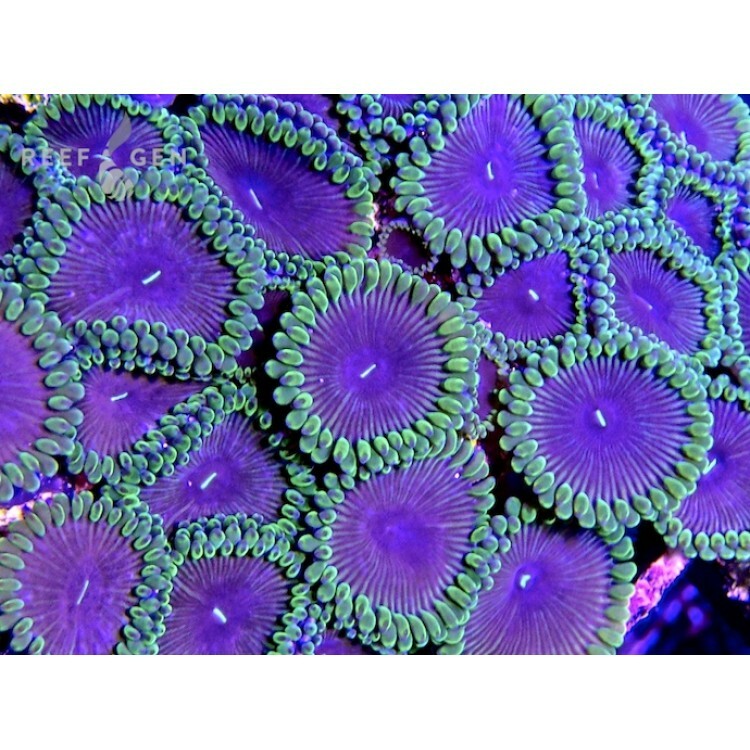 Our Joker Paly's proudly boast a vibrant purple center with bright green tentacles and mouth.